I've been thinking about the values I was taught as a child and the example my mother set before me who passed away from an aggressive form of cancer 21 years ago. I think the lessons she tried to impart were based upon her Christian upbringing, and while she had strayed from the church, she didn't stray too far from Christian morals. If there is any wisdom mom would want to impart to her granddaughters, great-granddaughters and nieces, it would be to seek the Lord first in your life and then pattern your life after women in the Bible and other authentic Christian women found throughout history. 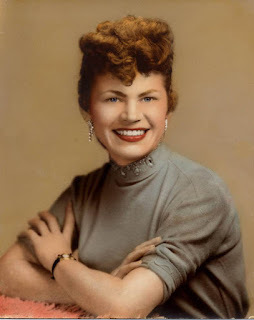 So, while mom wasn't perfect, (she had a famous Scottish temper), she did find peace, love and forgiveness at the cross of Christ before her death. I still marvel at the change that came over her as her heart softened and her mind was renewed with the Word of God. I also remember how accepting she was when we found out she had advanced cancer that could not be treated. After her diagnosis, we stopped at McDonald's for coffee and while I went inside for the order, she stayed in the car and made her peace with God. We didn't say much on the drive home, but we knew life would never be the same for both of us. 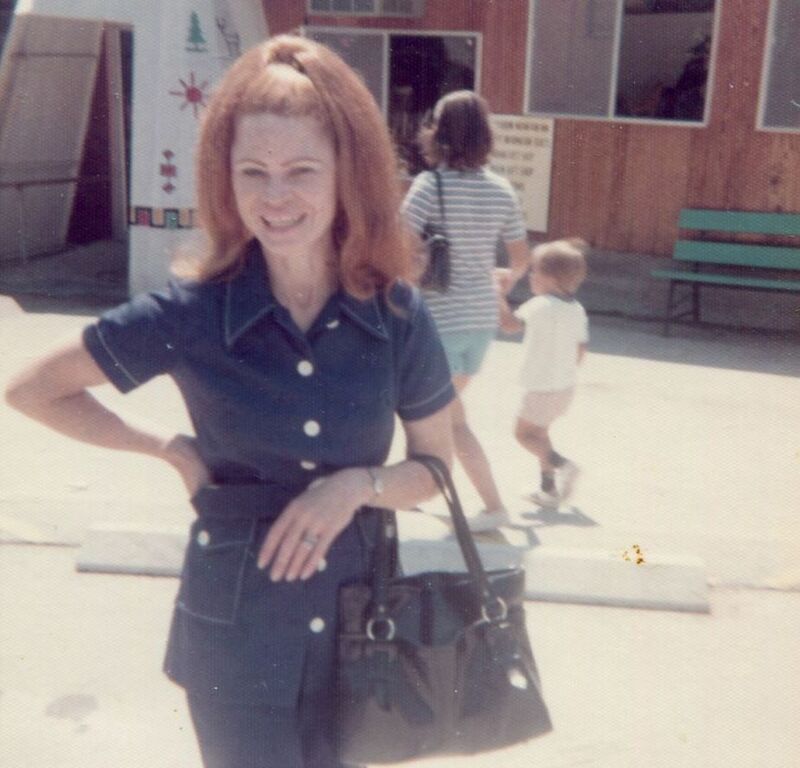 She had always been the strong one, the caregiver, and I was her youngest child, plus the only daughter in the family. I depended on her even after my marriage and the births of my sons, and she was always there to lend a helping hand or a shoulder for me to cry on. I remember when feminism was at it's peak in the mid 1970's and I was certainly under its influence with feminist role models on television and in the movies who were strong, and I thought, beautiful. As you can see from the above photo, my mother was every inch the fashionable lady and exuded self-confidence. But, believe it or not, she was not only opposed to feminism, it appalled her. I remember her admonishing me to not be like "those women on television who were burning their bras" and seeking to be just like men. She taught me to marry a man who would take care of and protect me, which I did. And while mom had strong opinions about morality and social issues, (she was opposed to abortion and homosexuality), she didn't vote. I once asked her why she wasn't registered to vote and her response was my father voted for the family. So, dear reader, take another look at what passes today for femininity and then compare it to your mother and let's tell the next generation how to be real women of strength, beauty and moral character. Lovely and worthy writing, Angela! The day of death is better than the day of birth - loving end the Lord gave her! Thank you. My mother displayed much grace and passed with dignity. Her memory is blessed.